You’ll find Le Ciel in Kunitachi, just 30 minutes by train from Shinjuku on the JR Chuo Line, a place with a wide boulevard lined with cherry and gingko trees, from the station to nearby Hitotsubashi University. Kunitachi is the first city designated as a, “culture and education district”, or bunkyo chiku. It’s a quality neighborhood, and not overly commercialized. Le Ciel is located less than five minutes on foot from Kunitachi station. And though you might assume the restaurant is supported by local food lovers, it’s in fact frequented by people all along the Chuo line, and often those as far as central Tokyo. But even when you know where they are, the seemingly make-shift door might have you second guessing. 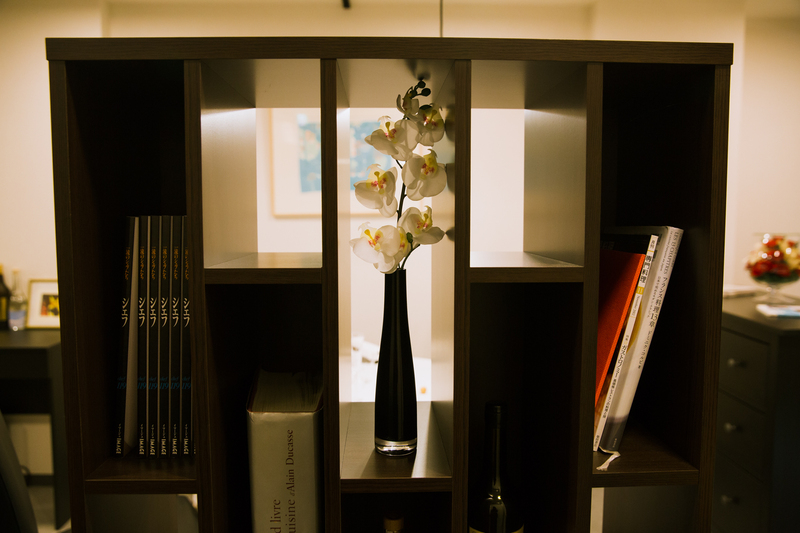 But don’t worry; as soon as the door opens, you’ll know this is a special place for the savoring of wines as selected by Hirata, with dishes prepared by Chef Tetsuya Ogiwara. Hirata has worked for long-established restaurants in central Tokyo, called grande maison. But his belief was always that upon opening his own restaurant, that same passion would attract the same kind of food lovers as those in central Tokyo. And he was right. In spite of its location, Le Ciel attracts a whole manner of diners, from people celebrating special occasions like wedding anniversaries to those wining and dining clients, and of course discerning diners on the lookout for quality restaurants. One thing Hirata does differently at Le Ciel is that he dresses casually, in a pair of jeans and sneakers. However, Hirata’s professionalism comes out in his demeanor and attentiveness, a quality that often matches with the smart casual dress of Le Ciel’s common diners. At Le Ciel, dishes are prepared by Chef Tetsuya Ogiwara, a man skilled at flexibly assimilating non-traditional French ingredients and methods. Having worked not only at French restaurants but also Italian and other restaurants, he often spontaneously accommodates requests from Hirata, who often asks for fine adjustments to dishes based on diners mood and taste preferences. This unique synergy between sommelier and chef is what make Le Ciel a restaurant worth visiting: it’s for food and wine in comfortable ambience. This ambience is important to Hirata, who knows the importance of atmosphere to dining experiences. So if you’re looking for something new, regardless of where you live, why not consider Le Ciel the next time you dine out? Chef Tetsuya Ogiwara’s haute couture menu consists of six to eight courses, accommodating diners’ requests. All menus above come with an after meal drink of coffee or tea, and Mignardises. 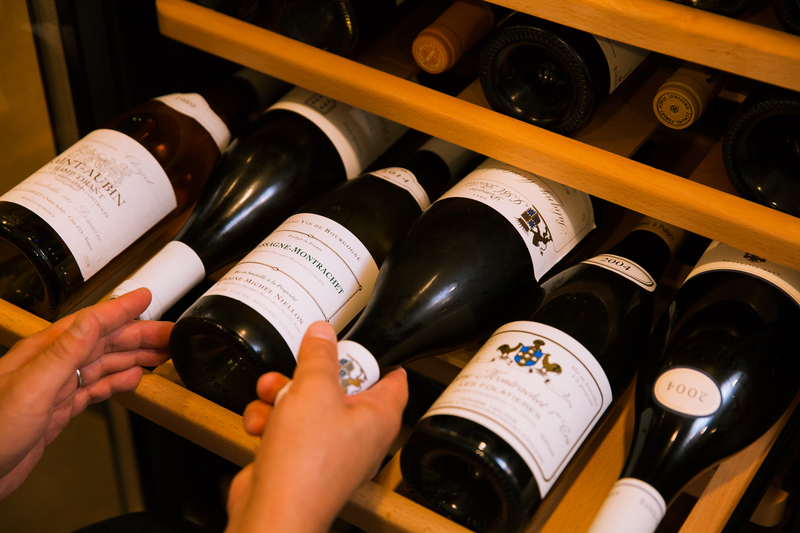 The wine list consists of 100 red and 100 white wines, which are almost exclusively from France, and priced at less than 6,000 yen. The list also boasts approximately 20 Champagnes from around 9,000 yen, in addition to 10 sparkling wines priced from less than 6,000 yen. 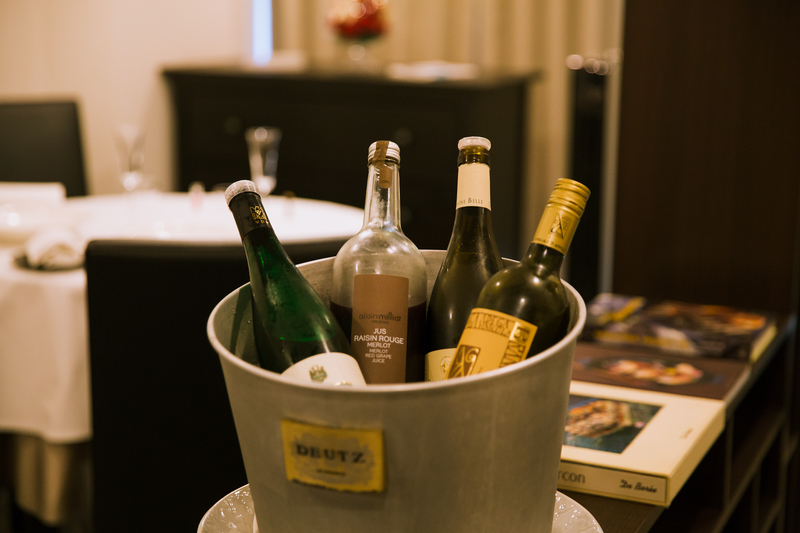 By the glass, Le Ciel has 4 to 6 white wines including dessert wine, and 2 to 3 red wines, priced from 1,200 yen. By the glass Champagne is priced 1,400 to 1,600 yen. 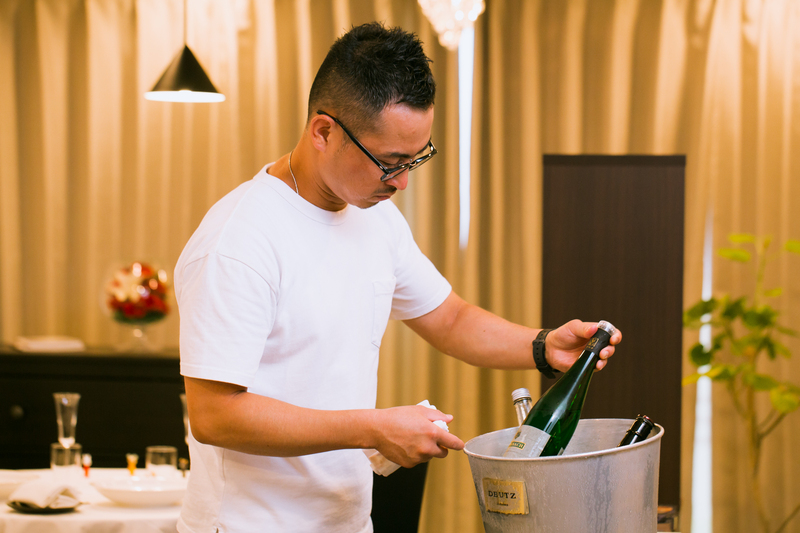 Owner-sommelier of Le Ciel, Daisuke Hirata has considerable experience selecting and recommending wines at grande maison restaurants. He is at his best when proposing wine pairing options, and while there are almost no wines outside French on the list, he freely includes non-French wines, including Japanese options and even Japanese sake. Five wines including Champagne as an aperitif. Seven wines including Champagne as an aperitif and a dessert wine. 4,000 yen option of four wines is available during lunch hours. 1-10-32 Naka, Kunitachi, Tokyo 3rd Fl.